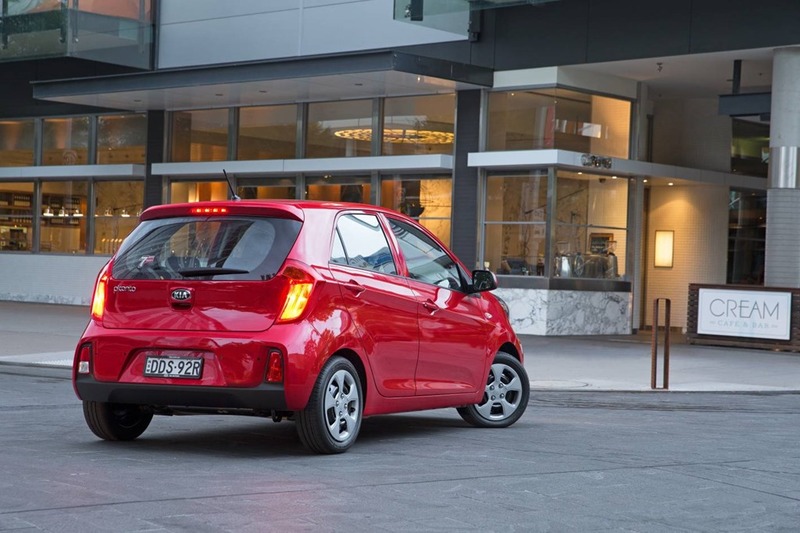 For a tiny $15,510, you get a tiny 4 door city car. It has a 1.25L petrol engine, that could seriously use a turbo, which drives the tiny front, steel, hub-capped wheels, through an ancient and very outdated 4 speed automatic gearbox. 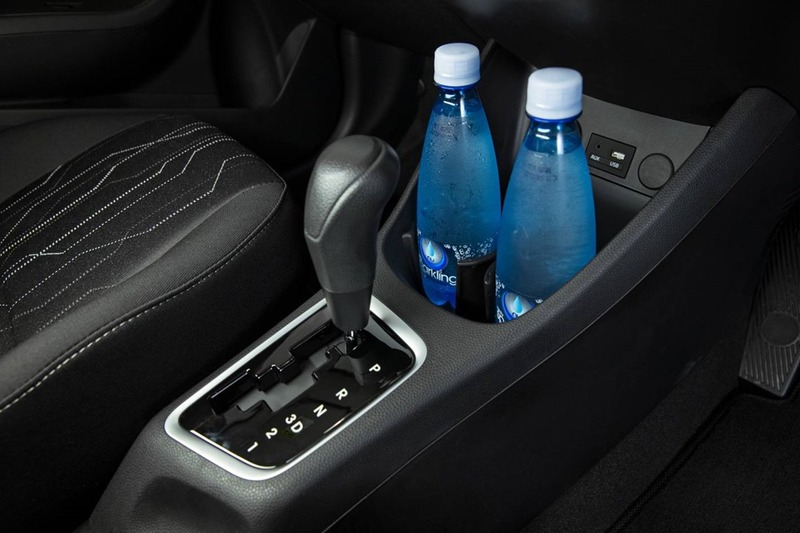 The wheels are so small that when not being used to keep a Picanto off the floor, you can stand your cup on it so you don’t get rings on your coffee table. The petite proportions might be occasionally inconvenient, but the moment you try to park or maneuver in traffic, misgivings about size turns to advantage. Excellent maneuverability when parking is the biggest asset. Tight spots are no challenge for this tiny tot. It turns sharply with feather-light power steering at low speed. A low 1st gear gives the relatively low-powered engine an extra pep from a stand still. The infotainment system has Bluetooth which is fairly easy to pair, but that’s about where the goodies end. The rest is bare bones sound, with info displayed on a 3-line orange LCD screen straight from the 90’s. It feels low rent and the lack of connectivity will be punloved by millennial buyers. Other offerings in this price range have 6” screens as a minimum, and come complete with CarPlay. There is also an optical drive for CDs all of which feels a bit 20th century. Does anyone actually use CDs any more? City cars are built for a specific market, which I do not fit. A taller driver will find the driving position difficult to get right. Having the seat far enough back to make legs fit, will make the steering wheel feel too far away because of the lack of reach adjustment. It seems a small thing but it means so much over the life of a car even if it is entry level. 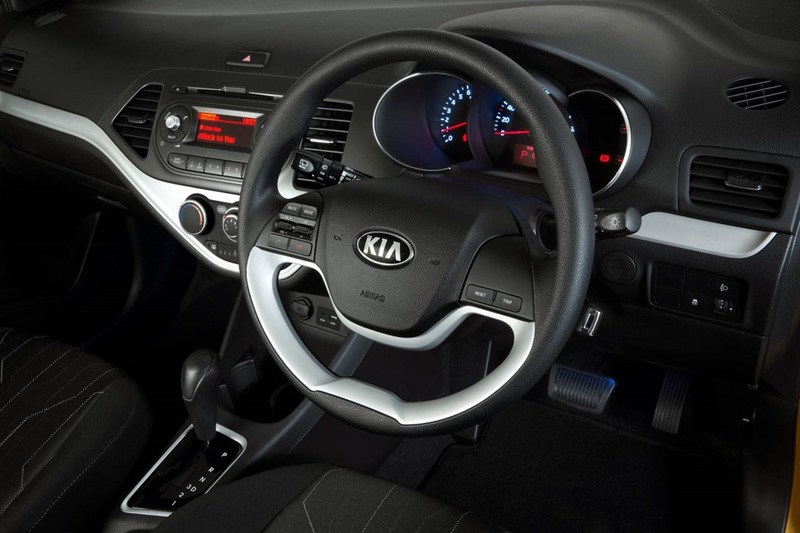 Smaller drivers will find the cabin very comfortable and a much better fit all-round. All 4 doors have power windows, and there is manual air conditioning. It struggles a bit in very hot weather especially if the car has been left baking in the sun. The 4 speed auto just won’t do, it won’t do at all. I wasn’t keen on it at launch, and it didn’t grow on me around town. The ratios give a big break between 1st and 2nd, and in forth gear has the tacho at 2,200 rpms at 80kph. This brings me to my next point which is fuel consumption. In almost every car with a small engine, a driver will try to push it harder to achieve results similar to those they’d expect with more power. In other words, foot straight to the floor at lights, and after every corner, means worse results than you’d hope for. The performance will see the 0-100 measured in days, and the economy much, much, higher than manufacturer claims. To get the most out of super-minis, you have to reset your expectations. When you do, the drive experience changes dramatically. The luggage space is tight but there is plenty of space for 2 overnight bags. As always you can lower the rear seats because with a taller driver, no one is going to be using them anyway. 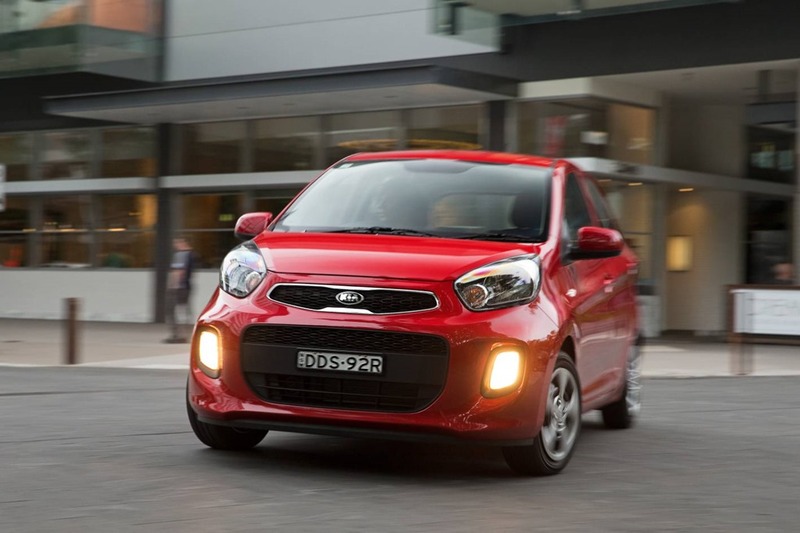 What do we expect in the new Picanto? There will be 3 engines: 1.0L 49kw, 1.25L 62kw and the range topping 1.0L turbo with 74kw. The turbo is a single scroll jobbie which usually means appalling turbo lag. Let’s wait and see. A 5 speed manual is standard with a 4 speed auto being offered in the 1.25L model. This is a mistake. Holden’s excellent Spark has a more modern CVT for the price. A 7” touch screen system has Satnav and CarPlay with optional wireless charging. It is meant to be quieter and roomier, and has torque-vectoring by braking, as well as an advanced stability control system. AEB (autonomous emergency braking) will be “available” which probably means on the top model only. The pictures show cruise control buttons on the steering wheel which will be much welcome. 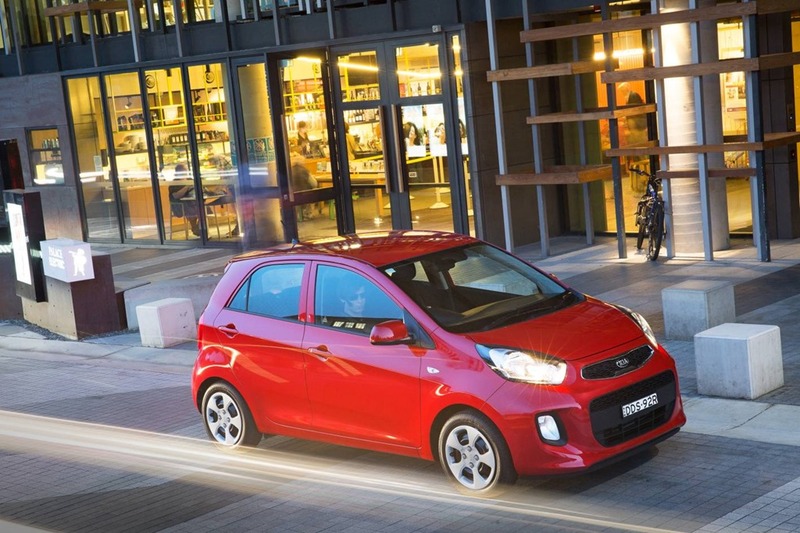 New Picanto will be quieter and more refined than the current model but with the turbo not coming until the end of the year, performance will be on a par with what we have now. Pricing for the new car will be available in a few months. It will be worth putting the new car on the list for city-car shoppers. Despite the transmission offerings, I’m hoping for other options later. There’ll probably be deals for current models so that is something to look for if you don’t mind the lack of tech. The fact remains that although the super-mini segment is shrinking, and the SUV/LCV isover50%, if we all shifted to super-minis, our traffic would disappear. It makes sense. Add to that a number of plucky commuters on bikes and motor cycles, and Sydney’s snarls are a thing of the past. Watch this space for the launch review in April. The all-electric BMW i3 joins Melbourne’s most sustainable pop-up house at The New Joneses.